Discount retailer B&M has emerged as a Christmas winner after food and other household essentials helped it grow like-for-like sales by 3.9% in the UK. Shares in the company, whose soon-to-depart chairman is former Tesco boss Sir Terry Leahy, rose 3% after the trading update covering the 13 weeks to 23 December. It comes a day after figures from Sir Terry’s former company fell short of City expectations, despite showing the best Christmas performance since 2010, when he was in charge. Retailers have seen mixed fortunes over the period, with food stores broadly doing well as squeezed consumers focused on essentials – leaving less left to spend on clothing and gifts at other stores. 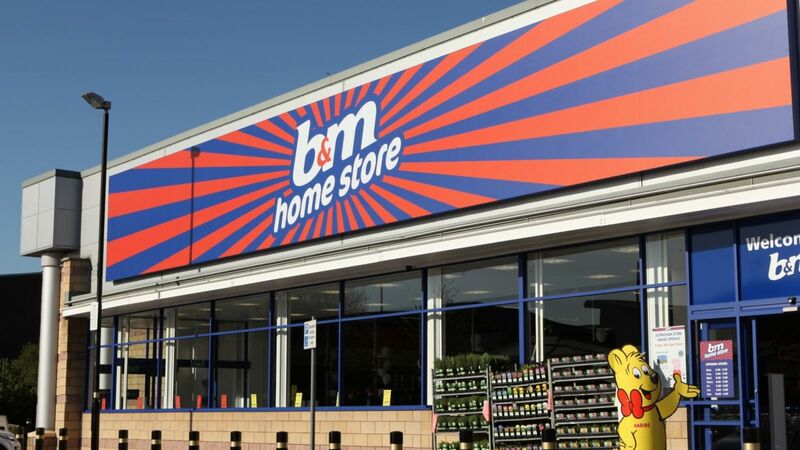 B&M, which describes itself as the UK’s leading general merchandise value retailer, said it had seen a “robust performance” in grocery and FMCG, or fast-moving consumer goods – a category ranging from canned drinks and toilet roll to fruit and veg. Chief executive Simon Arora said the growth came despite comparisons with a strong Christmas period last year. “B&M continues to go from strength to strength… delivering great value for customers week-in week-out,” he said. The company operates 569 B&M stores in the UK and 263 under the Heron convenience chain it bought for £152m earlier this year, as well as 84 Jawoll outlets in Germany. It reported total revenues of £970m for the Christmas quarter, 23% up on the same period last year as it continued to expand and said it was confident of meeting market expectations for the financial year to March.